BAGUIO CITY – SM City Baguio and SM City Rosales welcome the year and the customers with their first ever grand raffle promo for 2018. 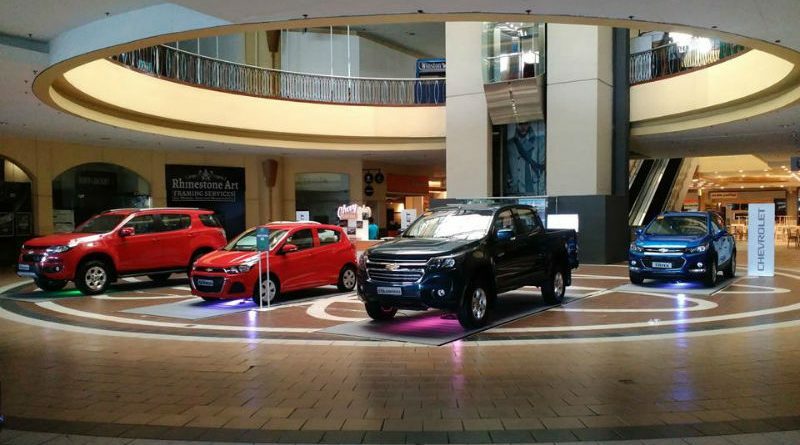 From January 20 to March 25, customers who shop in any establishment of SM City Baguio and SM City Rosales, dine in SM Foodcourt and watch in SM Cinema may take advantage of this chevy raffle promo. Lucky shopper will win Grand Raffle Prize of a brand new Chevrolet Traxx. To join, every P2000 single or accumulated purchase within the promo period from any establishment of SM City Baguio and SM City Rosales entitles a shopper to one (1) raffle coupon except for SM Foodcourt and SM Cinema. For SM Foodcourt, customer gets one (1) raffle coupon in every P300 single receipt purchase, while for SM Cinema, customer gets one (1) raffle coupon with every single receipt purchase of four (4) cinema tickets. Customer automatically get double raffle coupons for weekdays (MON-THURS) purchases during the promo period. Receipts for purchase of gift certificates, payment of phone/credit card/electronic/other utility bills, membership fees, insurance premiums, housing, car or other form of loans, and the like are not qualified for this promo. To claim the raffle coupons customers must present his/her official receipt/s from the participating establishment of SM City Baguio and SM City Rosales at the designated redemption center in the same mall during the mall hours within the promo period. Redemption of the raffle coupon should be made in the participating SM mall branch where the transaction was made. Customer must fill in his/her complete name, address, contact number and affix signature on the raffle stub, and drop the raffle entries at the designated drop boxes inside SM City Baguio and SM City Rosales where transaction was made. Deadline for submission of entries will be on March 25, 2018 at 9PM. Draw date is on March 26, 2018 around 4PM at SM City Baguio. All entries from SM City Rosales will be transferred to SM City Baguio before the grand draw which will be witnessed by a DTI representative. Winners will be notified by registered mail. The list of winners will also be posted in designated areas of SM City Rosales and SM City Baguio. The winner of the car should shoulder the prize tax, registration, insurance, freight (if applicable) and other related expenses. For proper identification, the winner must present the notification letter sent via registered mail, the winning raffle stub and two (2) valid Government IDs when claiming the prize at the Shopping Center Management Corporation (SCMC) Admin Office of SM City Baguio care of the Marketing Department from Monday to Friday, 10 AM- 6PM. In case of a lost raffle stub, winner must be present a Notarized Affidavit of Loss, winner’s notification sent via registered mail and two (2) valid Government IDs. Shopping Center Management Corporation shall only release the vehicle to the winner upon securing the following registration documents from the Land Transportation Office: Official Receipt, Certificate of Registration and Insurance. Unclaimed prizes after 60 days of notification will be reported to DTI and upon approval of DTI shall be forfeited in favor of Shopping Center Management Corporation. The Shopping Center Management Corporation’s decision is final in concurrence with DTI.